A widow with no rights, no job, and no home. Hasmita wept as she stepped out into the streets. There was nowhere for her to go. Her husband had died and his brothers had claimed all her property as their own. She was a woman with no rights, no job, and now, no home. Desperate, she asked her sisters-in-laws to convince their husbands to show her mercy. They conceded… but to spite her they provided her only with a dilapidated shack. In the midst of her distress she met a TTI church planter, who shared with her about Jesus. She surrendered her life to Christ, and was filled with a joy and peace greater than her circumstances. 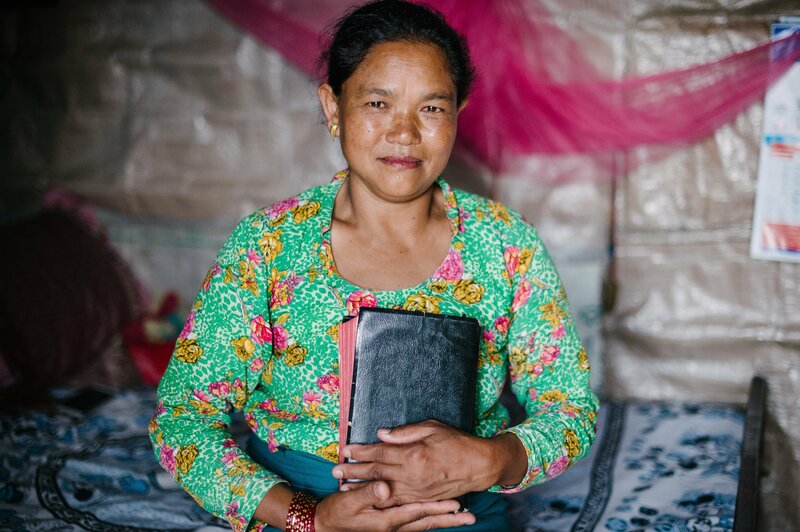 She received a Bible, and was overwhelmed by the truth of God’s Word. She knew she had to share it with others. When she heard that her neighbor had fallen, was paralyzed, and unresponsive, she knew she should go pray for him. Although a brand-new believer and slightly intimidated, she stepped out in faith and prayed for the man. Nothing happened. So, she prayed again—then again. After the third time, he opened his eyes! He recovered from his injuries and accepted Jesus as his Lord and Savior. They have planted a church in their village, and are among the first known believers in their people group! She received a Bible, and was overwhelmed by the truth of God’s Word. She knew she had to share it with others.